Erie Gives Day is on Tuesday, Aug. 14. In its eighth year, the annual charity event is growing to be more and more well-known in the area. For those that aren't aware, it's a one-day celebration of nonprofits, and raises millions of dollars for hundreds of deserving organizations. By making a donation on Aug. 14 via eriegives.org from 8 a.m. to 8 p.m., your donation of $25 or more will qualify to be matched thanks to a handful of local sponsors, effectively doubling your donation. Last year, it continued to break its own record. Raising $4,427,877 in one day, 7,685 donors were able to help out 374 nonprofits in the Erie Area, seeing an over 28 percent increase from 2016. That was after a 20 percent growth the year before. These nonprofits are the lifeblood of Erie, and it's our job to help them out. Thanks to funding from the Erie Community Foundation, GE Transportation, Erie Insurance, Presque Isle Downs and Casino, E. E. Austin & Son, Erie Bank, The Erie Times-News, Knox Law, Little Caesar's, McInnes Rolled Rings, and Northwest Savings Bank, a prorated match of $300,000 will be provided. We here at the Erie Reader feel compelled to do our part as well. Many of us have been participating in Erie Gives day since its inception in 2011, and are happy to continue this tradition for years to come. Last year we had the idea to invite our contributors to say a few words about who they're donating to and we want to continue that philanthropy. We encourage you to go to eriegives.org as soon as possible, and find a nonprofit that speaks to you. Then on August 14, it's time to give. With an open heart and a happily lightened wallet, here are a few of our personal picks. Who they are: The institute was founded in 1919 by the YWCA to assist with Erie's growing immigrant and refugee population — over 25 percent of the city's population at the time. Today, they are a part of the nationwide network called the U.S. Committee for Refugees and Immigrants (USCRI), whose mission is to help people overcome the difficulties social, culture, and economic barriers and become self-sufficient. Why I'm giving: With around 20,000 immigrants living in Erie — half of those being refugees — the work being done by the institute is indispensable to the city. I'm continuously in awe of the amazing work they are doing to help our vast and diverse immigrant population, whether it's helping new residents get accustomed to their life in Erie, providing social services, offering English classes and other educational programming, or helping two 18-year-old Syrian residents launch Erie's only refugee-owned food truck. Bonus: Our immigrant population makes us a stronger and better city—and our food offerings even more delicious. Who they are: Hooked on Books is an all-volunteer organization dedicated to the promotion of literacy, the love of reading, and lifelong learning among Erie County's underprivileged youth. Since 1990 Hooked on Books has distributed over 370,000 brand new books. They also promote reading by providing adult volunteers to read to and with school children. Why I'm giving: Developing reading skills is a vital part of academic success, and providing kids with their own books is a great way to encourage reading. Bonus: As a new father, one of my favorite activities is reading with my daughter. Nearly every night before bed, she will pick out a book and we will wind down with story time. Not only is this a great bonding experience, but it is instilling a love for reading in my 1 year old that will hopefully last a lifetime. Who they are: The Tom Ridge Environmental Center Foundation is an organization that works with the Department of Conservation and Natural Resources at Presque Isle State Park to bring educational programing, natural history research and visitor services opportunities to the local community. They also offer a space for scientists to study Presque Isle and help preserve our gem on the lake. Why I'm giving: I used to take Presque Isle State Park for granted. 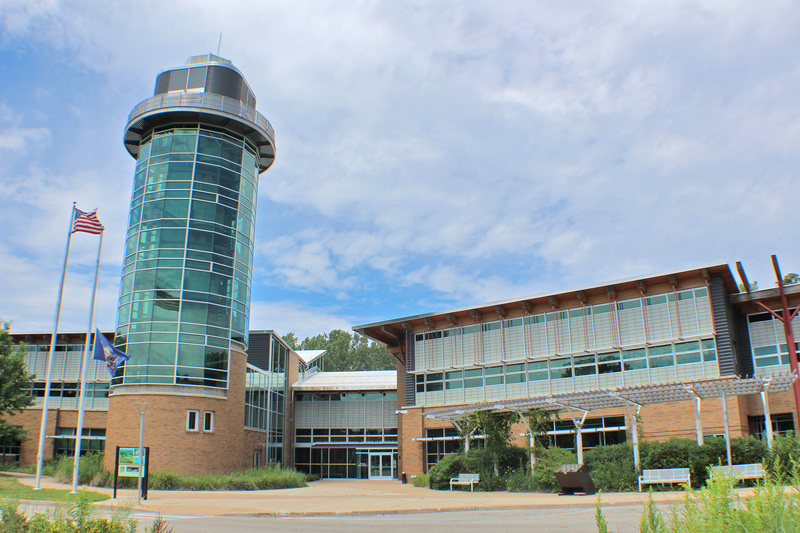 When the Tom Ridge Environmental Center was built, I was able to rediscover the park through the foundation's educational programs and information center. They gave me a new perspective and interest in Presque Isle's unique environment. The foundation offers a variety of activities and outreach efforts to highlight the park's beauty and educates us on how we can help maintain it. The Tom Ridge Environmental Center Foundation still has many visitors to serve making it essential to the Erie economy. Bonus: The Tom Ridge Environmental Center has an observation tower that is open to the public. It is one of my favorite places to look out over the lake and take pictures. 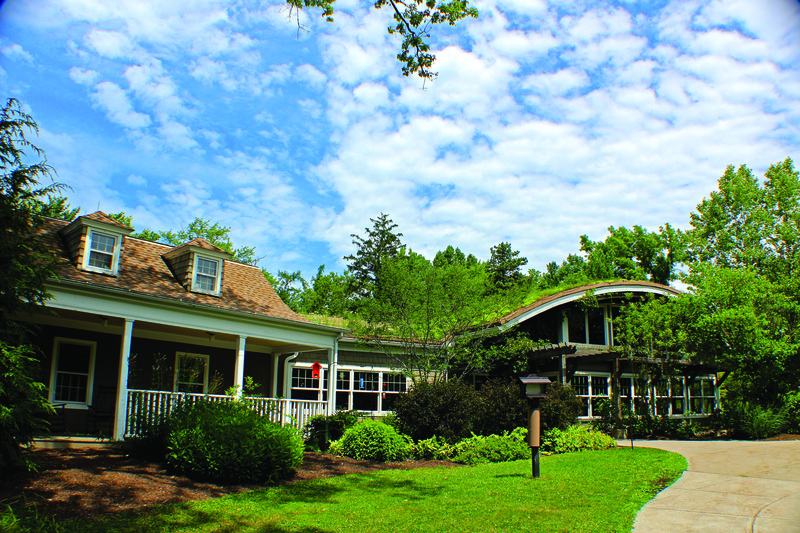 The Tom Ridge Environmental Center provides education and opportunities for people of all ages who are interested in helping the environment. Who they are: An awesome collection of communities spanning the Globe, L'Arche fosters the development of those with and without intellectual and developmental disabilities through shared living experiences. What's that, you ask? Glad you did! You may be familiar with the term "group-home," which may lead you to think of a setting where adults with varying degrees of disabilities receive services specific to their needs from a support team of caregivers funded at the state and federal levels. L'Arche indeed provides that support in these more than 140 communities worldwide with an emphasis on mutual respect for all of those in that community to build strong and meaningful relationships. Jean Vanier, the Founder of L'Arche, once opined: "The secret of L'Arche is relationship: meeting people, not through the filters of certitudes, ideologies, idealism or judgments, but heart to heart; listening to people with their pain, their joy, their hope, their history, listening to their heart beats." 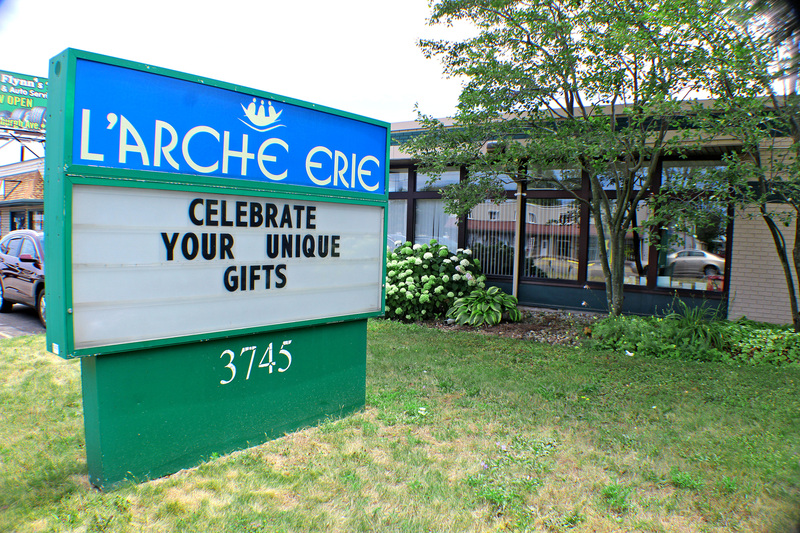 To boot, the first L'Arche community founded in the United States was done right here in Erie not long after Vanier founded the first L'Arche home in France in 1964 after he and Father Thomas Philippe invited two men with disabilities, Raphael Simi and Philippe Seux, to join them in their home. The name of the first home? The Ark (which in French is L'Arche). For a really beautiful and stunning look at what and who L'Arche is, check out the web series on YouTube #AsIAm. Why I'm giving: I owe a lot to L'Arche, both personally and professionally. I began my journey with L'Arche Erie more than ten years ago, serving as an assistant in several homes. There, I met amazing people, came to understand the philosophy of L'Arche (great suggested readings of from Thomas Merton and Henri Nouwen! ), and learned what being a servant leader means. Simply put: I've seen the great work L'Arche does firsthand. I've since joined L'Arche Erie's Board of Directors, and I've continued to meet amazing people here and throughout the country through board retreats and continued to see how the work L'Arche makes the world a better place. The work of this organization serves as a constant reminder that although we may not always live in a world that is just, we must endeavor to make the world a more just place for all, as we are all vulnerable and all have gifts to share with the world. 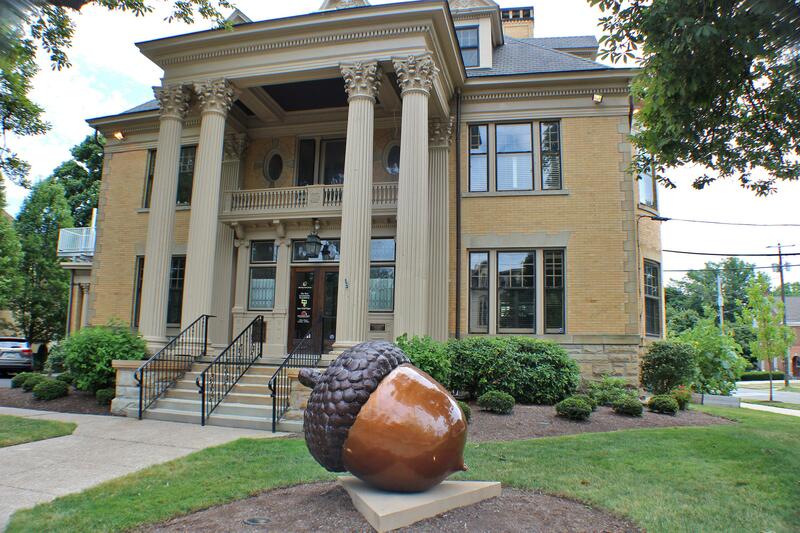 Who they are: Asbury Woods is 205 acres of nature nestled into Millcreek Township. The ecological preserve features old-growth forests, landscaped gardens, and boardwalk and dirt trails. Its governing body provides an array of environmental, educational, and recreational programming for the community and helps foster conscientiousness for the natural world around us. Why I'm giving: Asbury Woods is a sentimental favorite — having been the site of childhood adventure, adolescent awkwardness, and adult rescue missions alike (I've sunk myself figuratively in meanderings of the imagination and clumsy male-female interactions there in the past, and literally in the muck below the boardwalks when my dog yielded the ENTIRE trail to a pair of cyclists). What better way to get in touch with our roots than visiting the forest? I credit this place with creating a fondness for and curiosity about nature and exploration, and I hope that other young people will take advantage of its programming and develop a sense of stewardship for the only Earth we have. Asbury Woods is located just south of West 38th Street. Who they are: Founded by a plucky group of Gannonites and local theater alum, Dramashop debuted in 2011. While their first season's productions took place at Gannon's Schuster Theatre, the following year they relocated to their current home on the second floor of the Renaissance Centre downtown — the former Director's Circle Theatre. After the conclusion of this year's season with *The Curious Incident of the Dog in the Night-Time, they've mounted 45 different productions. Why I'm giving: Dramashop continues to raise the bar for itself, seeking out the latest and most innovative plays and musicals that modern theater has to offer. Throughout their history, they've never been afraid to stage intellectual, and thought-provoking content, all while welcoming newcomers to the fold (my first role on stage since high school was in their 2016 production of *A Bright New Boise). With a welcome balance, the "heavier" material is joined by hilarious, irreverent comedies as well. Like all local theater groups, the people involved pour their hearts into their work, and have learned to make every penny count to bring Erie the culture it deserves. Bonus: This year, they're closing with the hit Broadway musical based on Alison Bechdel's *Fun Home. Who they are: Over the years, the people involved with these two organizations have made it their mission to "foster awareness, appreciation, and understanding of the art of film while providing assistance, support, and education for regional film production." This is an important task that benefits Erie's entire economy. Why I'm giving: Continuing to establish filmmaking as a viable industry, while also keeping the art of film alive and vibrant for the people of Erie is an exciting and worthwhile endeavor. And as a lover of film, something that I'm deeply appreciative of, not only does this industry foster the talents of so many local artists, it also showcases our beautiful and unique region to the rest of the world. Who are they: The League is a political advocacy organization and officially nonpartisan, but always working on vital issues of concern to its members and the Public. The League develops public policy positions on issues including campaign finance, abortion rights, health care, climate change, and environmental regulation, among others. It has also registered more than 230,000 voters during the past two years. Why I'm giving: Because the League of Women Voters works passionately throughout the Erie region to educate and empower citizens in an effort to create a motivated and informed electorate. The League is currently planning a year long community calendar for 2020 to celebrate 100 years of women's right to vote in the United States. A man who wanted space away from the daily grind bought land in Millcreek. He donated it to the school district and it's since become a local destination spot for those seeking nature. Michael Bennett wanted to find out more so he headed off into the woods.